SnapChat on iPhone is actually a most fun gathering app. And it has attracted 70% people of the total active peoples on iOS. However, it has developed more audience on iOS. 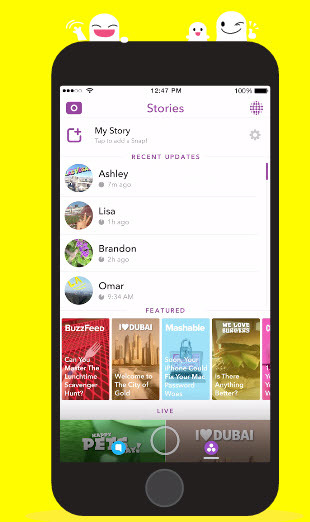 SnapChat App iPhone is one of those Apps who can connect you to all over the world’s life and you can broadcast live to them. It is not as, that SnapChat only works with snaps sharing. But it makes fun with snaps and you can put your texts, emoticons and other stickers on snaps. 1. Share Pictures and videos and both will self-destruct after few seconds of view status. 2. Put special texts captions. 3. Draw with pretty highlighted and cultural colors. 4. Set time limits on snaps to be active. 5. Most new feature available for US peoples and that is you can pay to your friends or pay for a purchase and totally secure with Snapcash launched in 2014. 6. Add anything like, location filters, whether filters or time filters. 8. Amazing fun filters that can make your conversation with full of fun. How to Use SnapChat on iPhone? Step 1. Find in the App store SnapChat and install it in your device. Step 3. Select a unique username that will define your name or identity on SnapChat on iPhone. Step 4. Join interesting people, showing on front screen in SnapChat. Step 5. Share photo or videos clips to your contacts. Step 6. Tap to take a snap and hold for video clip. Step 7. Final step is to editing or decorating your photo or clips with fun filters. You can record videos and without holding the push button as described above. You can do it by making a gesture upon your choice by going to the general setting. Once you are in general setting, click to the accessibility option and then choose assistiveTouch. It will show you a white dott appearing on your screen. After it toggles to go next to assistiveTouch and then click on New Gesture. Here you will do same as before tap and hold for the video clip. Once you recorded the video then save and send it. Now you have done with making your gesture. For next always you just need to drag and put that tiny white circle in capture cell. And then you can record videos without using your fingers. 2Save your text messages upon your interest. The second amazing trick is to save your messages. As all iPhone users well know that your text messages will self-destruct once after being viewed. But you can save them by selecting by long press on message and then click to save. And they will filter to save messages. But with all of these amazing and fun gathering tools, it is a bit reality that these Apps cause iPhone software to run slow. It is not only the one tension but iPhone users remain intense about to leak privacy issues. But do not worry more as here is the best privacy protection and data eraser software. 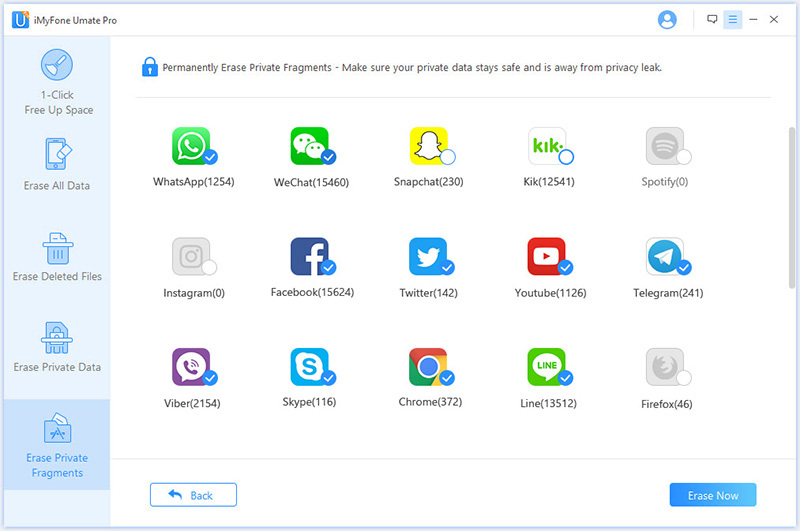 iMyFone Umate Pro or iMyFone Umate Pro for Mac can clear up all your junk or stores data in memory and erase your private data. And carefully note that data erased by iMyFone Umate Pro is totally not recoverable by any third party recovery tool. Step 2: Hit the scan button. Step 3: Clean all junk and stored app data or erase iOS data permanently.